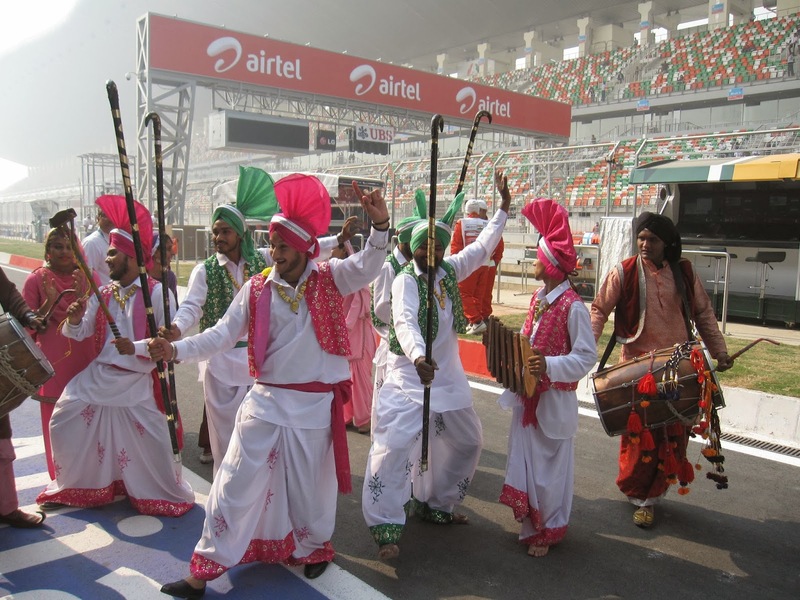 F1 in India - leaving the party early? A highly populous country. And one identified as one of the world's major growing 'new' markets. The potential's obvious right? And if you're a business seeking to establish yourself there then it's surely worth putting in some additional time and effort to try to get the massive rewards further down the line? You know, endeavours over and above the minimum in terms of promoting yourself, making yourself known and the like? And equally it makes sense to persevere, not to walk away at the first sign of resistance? Of course, it's unreasonable to think that you'll crack the country immediately. Right? Wrong. Well, wrong if you occupy the upside-down world of F1 anyway. The Indian Grand Prix is not on next year's F1 calendar, and despite the organisers insisting otherwise many reckon that last weekend's visit - just F1's third - will be the sport's last for the foreseeable future. And it rather disturbs me the regularity that I have encountered those seeming entirely sanguine at this: that the race wasn't worth the trouble, that it was ill-starred from the outset, that F1 is justified in turning its back, that the sport would never get any traction in this the ultimate cricket-loving country. Some even get close to 'good riddance'. Such sentiments are however in my view at best extremely short-sighted. I can only believe that such people have not considered precisely what potential F1 is walking away from. 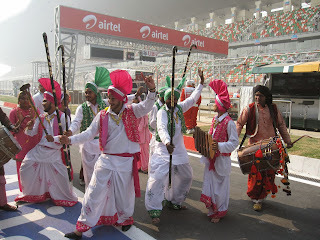 As noted in my race preview, the Indian event has had problems, most regrettably a lack of Government support (be it in finance or goodwill), the Hampton Court Maze-like bureaucracy that has to be navigated as well as the levels of taxation claimed, both related to the classification of the event as 'entertainment' rather than 'sport' (titter ye not). That the Grand Prix just passed was threatened with 11th hour cancellation by a court petition over alleged unpaid taxes was certainly embarrassing also. But the Indian Grand Prix has had a lot going for it too, even before we even consider the wider potential benefits outlined in the opening paragraph. It has a warmth and welcome which is captivating, as well as has a refreshing bottom-up appeal from not being the usual imposition of a calculating or vain Government that we tend to get with new F1 hosts. And clearly it is a Grand Prix conceptualised, organised and promoted by those with clear motorsport passion, such as in the case of Vicky Chandhok. The numbers though the gates have been good too, and peaked at 95,000 in the debut event in 2011. Even the crowd last Sunday - which got a lot of criticism - apparently totalled at around the 50,000 to 60,000 mark, certainly not terrible numbers particularly when held in comparison with those of a few other rounds on the itinerary. Those that have paid to turn up and watch conspicuously bow to few when it comes to their enthusiasm. And let's not forget that India - more generally - has already shown itself absolutely capable of sporting passion, so there are lots of reasons to think that it is fertile territory for building F1 support. Further, the occasional borderline-farcical claim that I've heard that F1 in India will never rival cricket seems in my view to spectacularly miss the point - does anyone say that the British Grand Prix is a failure because football remains more popular in Blighty than F1? But it's long been Bernie's way to - aside from very special cases such as Monaco and, increasingly it seems, Singapore - judge such events almost entirely from its very specific bottom line, in terms of how much cash in hosting fees and the like can be extracted there and ten. The wider benefits to the sport in terms of growing the fan base in places that it is meagre currently and having the resultant benefits in increased exposure, sponsorship and other investment, or allowing time to establish growth of these over the long term, get little consideration from what we can tell. Loss leaders are close to unheard of. And let's not forget that even cricket - India's staple diet - took time to reach such a lofty status there, many cite India's World Cup win in 1983 at the point when the sport really took off. To illustrate F1's tendency to be short-termist, and its own worst enemy ultimately, once upon a time F1 had a dream ticket in the United States: one race in the west of the country, the other in the east; one a street circuit, the other a road course; both highly popular with drivers and fans alike and with guaranteed massive turnouts in the grandstands. And yet both - Long Beach and Watkins Glen - were ditched. Why? They weren't paying their way of course. Bernie thought he could get quicker cash elsewhere. And ever since F1 has struggled persistently to get any sort of foothold in the US (though last year's Austin debut gave by far the most cause for optimism on this front since Long Beach) - the potential offering of the world's largest economy to F1 largely squandered and for years. While countries with nothing like the same potential - perhaps even without many in the way of fans - linger on, but hey they pay their mammoth hosting fees without rancour. And in the modern age of CVC this tendency has multiplied. I can't help but think the sport's about to make the same mistake with India as it did for years with the US. And even worse when F1 does pitch up in a new market it seems to do very little to promote itself. India appears merely the latest case wherein F1, as is its way, has swanned into a new country rather like a self-absorbed poser at a party, who stands idle in the corner of the room and expects everyone to be immediately swept away by their beauty and to fall at their feet. And worse, the poser is impatient, and when the poser doesn't get their desired reaction in short order they, instead of trying to ingratiate, simply stomp off home in a strop. In the case of F1 in India, the party isn't quite over yet, indeed the night remains relatively young, and there's still just about time for the poser to decide, rather than to dramatically reach for their coat, to get back into the party, start being civil and try to make a good impression with the guests. Who knows, they could well find that they make a whole lot of new friends that way.